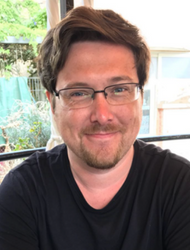 George Garner is the current Deputy Editor of Music Week, having taken up the position in February 2017. An experienced music journalist prior to joining the MW team, he has previously occupied a number of editorial roles at Kerrang! magazine – including Deputy Editor. George’s music writing can also be found in the pages of Mojo, Q, Kerrang! and Planet Rock magazine and he has appeared on Sky News, the BBC Radio 1 Rock Show and Kerrang! Radio.